The life and music of legendary singing siblings The Everly Brothers is lovingly told in this high energy musical. Walk Right Back, which comes to the Lichfield Garrick in April as part of a UK tour, is the story of the most successful duo of all time. This concert-based musical tells the story of The Everly Brothers' rise from a humble country family upbringing to the biggest act the world had ever seen. Featuring hits such as Bye Bye Love, Wake Up Little Susie, All I Have To Do Is Dream, When Will I Be Loved, Bird Dog, Cathy's Clown and many more, this two hour show will take audiences through the life and career of Don and Phil Everly from their rise to fame, then their inevitable split and feud lasting a decade, to their glorious reunion that gave them back to the world, and to each other. Starring International Everly Brothers Fan Club favourites, The Wilson Brothers, Walk Right Back is the first show of its kind to tell this wonderful, sad and glorious story, and entwines it all around those trademark "harmonies from heaven". Also featuring songs from a couple of the Everly Brothers' good friends, Buddy Holly and Roy Orbison, Walk Right Back is a show not to be missed for all music fans. The Everly Brothers, known for steel-string acoustic guitar playing and close harmony singing, had 35 Billboard Top 100 singles and hold the record for the most Top 100 singles by any duo. In the UK, they had 30 chart singles, 29 in the Top 40, 13 Top 10, and 4 at No. 1 between 1957 and 1984. 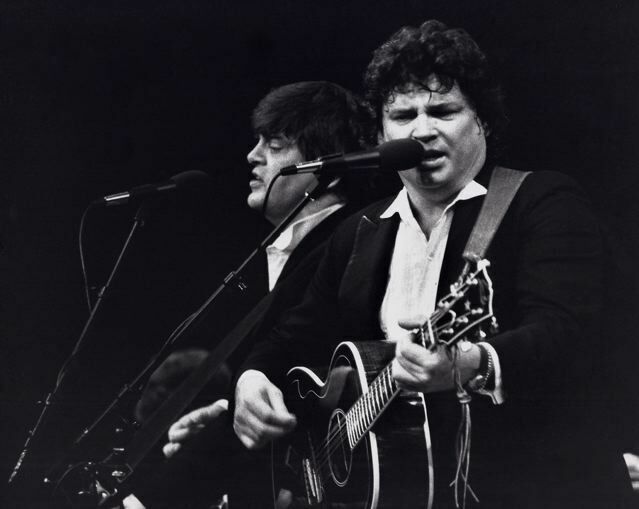 The brothers were inducted to the Rock and Roll Hall of Fame in 1986 and the Country Music Hall of Fame in 2001. Walk Right Back can be seen at the Lichfield Garrick theatre on April 11 as part of a UK tour. Tickets priced £25.50 are available by visiting www.lichfieldgarrick.com or by calling the theatre's box office on 01543 412121.